A member of the Top 100 for less than a year, Jelena Ostapenko is starting to make her way on the WTA circuit. Last season, the young Latvian made her debut at the Grand Slams. In just her second career major at Wimbledon, Ostapenko made quick work of Carla Suarez Navarro, then world no. 9, 6-2, 6-0. A few months later, she reached the second round of the U.S. Open after winning three qualifying matches to make the main draw in New York. 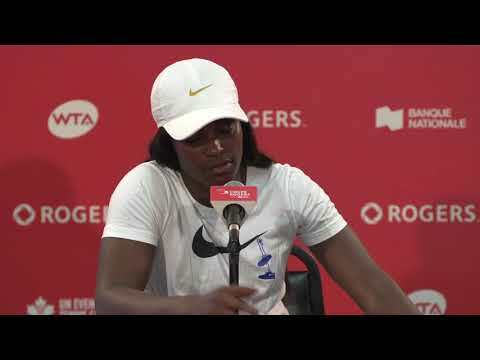 Two weeks later, she advanced to the final in Quebec City, a run which allowed her to crack the Top 100 on the world rankings and thus improve her ranking by more than 200 places in 2015. This season, Ostapenko enjoyed success in Doha, which is the same level of tournament as here in Montreal. The 19-year-old advanced to the championship match, beating 5 higher ranked players along the way before falling to Suarez Navarro in the final. She defeated the likes of Svetlana Kuznetsova, Petra Kvitova, and Andrea Petkovic. 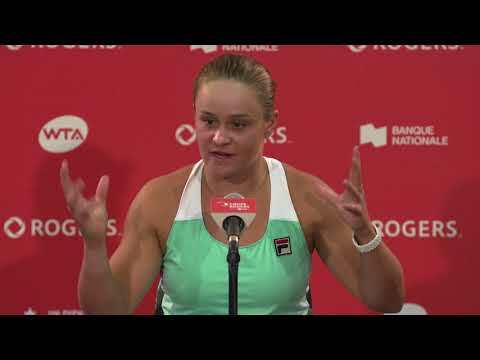 Since then, Ostapenko has maintained her ranking inside the Top 40, which gives her direct entry into the Rogers Cup where she will be making her first appearance in two weeks. Keep an eye on her, she loves the hard courts and could cause a few surprises!